Also, in addition to my collection of eBooks being on sale, I’m running a birthday raffle for a complete set of signed print editions of the Vasser Legacy! Includes: When Empires Fall, Rise of the Notorious, and Rulers of Deception. 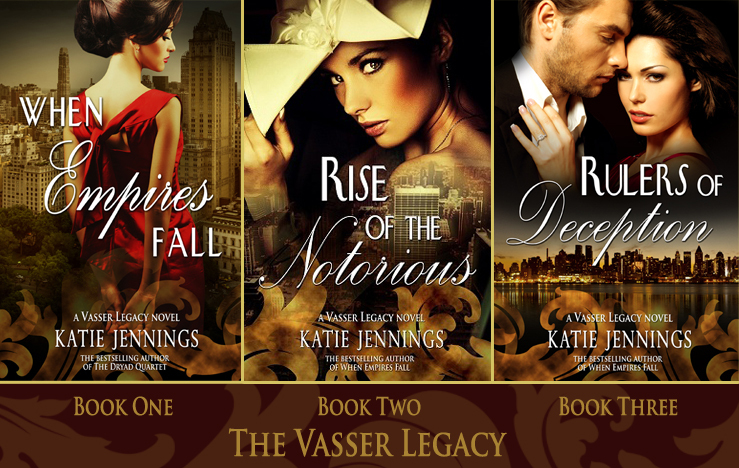 The Vasser Legacy is a series that focuses on the rise, fall and resurrection of the prestigious Vasser Hotel family. It’s a story filled with deception, passion, murder, and ambition set in glorious Manhattan in New York City. 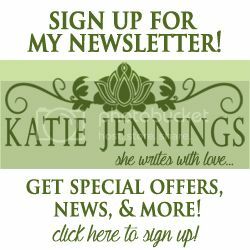 Katie Jennings is the author of the popular fantasy series The Dryad Quartet as well as the award-winning romantic family drama series The Vasser Legacy. Her paranormal romance, So Fell The Sparrow, won an Honorable Mention in the 2014 Readers’ Favorite International Book Awards. Her bestselling contemporary romance, Things Lost In The Fire, is a semi-finalist in romance in the Kindle Book Awards. A Los Angeles native, she now lives in beautiful North Idaho with her husband, who thinks she’s the biggest nerd ever. She’s a firm believer in happy endings and loves nothing more than a great romance novel. Black Friday Fantasy eBook Sale!